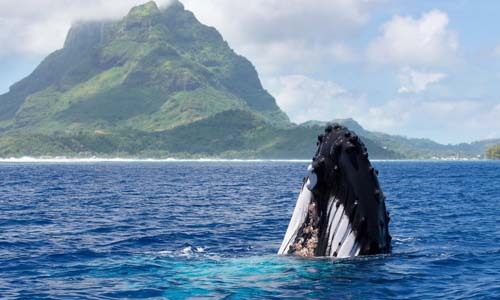 Every year in the Antartic, as winter closes in and food becomes scarcer, one of the worlds great migrations takes place.Many hundreds of humpback whales swim 6000 km north to spend 4-5 months enjoying the warmer and food-rich waters of French Polynesia, to breed and to give birth to their calves. This is a time for mating, with underwater singing that can be heard all day long as the males try to impress the females. To rent a yacht in Tahiti opens up a true myriad of amazing water sports you can take part in – surfing, snorkeling, kayaking, swimming, diving, jet skiing, parasailing – you name it and you can try it. One of the most exhilarating (or crazy?) 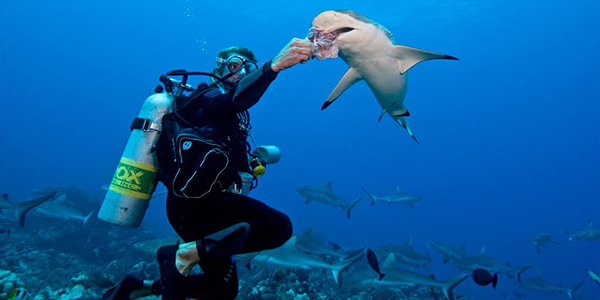 activities is feeding and swimming with sharks, a very popular tourist activity around the island of Bora Bora. Probably the most well-known, romantic and visually stunning island in French Polynesia, and possibly the whole world. Bora Bora is surrounded by a lagoon and coral reef, with the centre of the island being an extinct volcano. 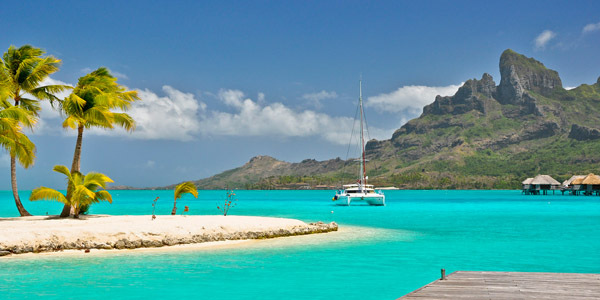 This offers some of the most famous postcard images you can find anywhere, while sailing on your yacht charter Tahiti. Don’t panic all you American football fans…the NFL has not chosen the beautiful islands around Tahiti to host next year’s Superbowl! Centuries before Europeans figured out that the Earth was not flat, the explorers of Polynesia were traversing the South Pacific on massive, double-hull outrigger canoes, navigating by the winds and stars. 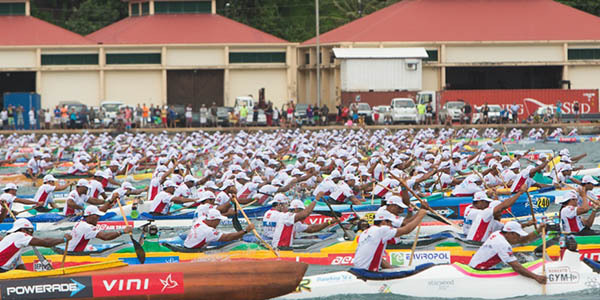 The canoe still plays an important part in Tahitian life, and many colourful events are held to celebrate this national sport of Tahiti.